SPRING VALLEY, Minn.—It was a battle for the ages on opening night of the 18th Annual Featherlite Fall Jamboree as a season-long battle to become the 2016 USMTS national champion came down to the final turn on the final points night. Trailing defending champ Jason Hughes by 10 points coming into Thursday night’s clash at the Deer Creek Speedway, Cade Dillard found himself behind the eight-ball early on as a deep draw in his heat race got even worse when contact on the race track forced him to the pits. He returned to finish the race and claw his way to a fourth-place finish. Meanwhile, Hughes started on the outside of the front row in his heat race and easily drove away from the field to take the win and earn a spot in the top-eight redraw for the main event. Another front row start for the 42-lap feature set Hughes up nicely in his run for the title while Dillard began the nightcap five rows back in 12th. Hughes swiped the lead from polesitter R.C. Whitwell to earn an all-important bonus point for leading a lap, but Whitwell fought back and took the spot away from Hughes five laps later. On the seventh lap, Hughes returned the favor but Whitwell jumped back in front to lead the ninth orbit. While Whitwell and Hughes traded blows for the lead, Dillard was marching toward the front. Following a brief caution on lap 10, Dillard blasted ahead of teammate Chris Brown and third-running Josh Angst to move into third behind the two leaders. With Whitwell setting the pace up front, Dillard pulled event with Hughes for the second spot on lap 13. The two touched briefly in turn four with Dillard coming out ahead entering the next corner. By now it was obvious that Dillard was on a mission. He quickly began reeling in Whitwell while putting ample distance between himself and Hughes. Whitwell crossed beneath the flagstand to lead the halfway mark on lap 21, but Dillard snuck by using lapped traffic in the next corner and had the top spot when he came by to complete lap 22. Once again, Dillard immediately began to distance himself from Whitwell and his advantage over third-place Hughes was more than a straight-away when the yellow flag waved for the third time on lap 36. At the moment, should the running order stay the same for the final six laps, Dillard would best Hughes for the series title by a single point. Hughes didn’t need to pass Dillard to repeat as the USMTS national champ; he just needed to be the runner-up, but his Hughes Racing Chassis was surrounded by four MB Customs Race Cars on the restart, including two drivers—Whitwell and Angst—hungry for their first-ever USMTS victory, and Brown’s No. 97 machine that looked identical to Dillard’s. But despite being outnumbered four to one, this was the 94th USMTS feature race held at the Deer Creek Speedway and Hughes owns 14 of them—more than any other driver at the track—and swept all three nights of last year’s Featherlite Fall Jamboree. When the green light came back on, Dillard again flexed his muscles and pulled away from his pursuers while Hughes flew around the outside to steal the second position away from Whitwell. With Dillard cruising to victory, Hughes had his hands full with Brown who shot underneath him as they completed lap 39. But Brown’s mount slid up the track in turn two and Hughes drove back underneath to regain the spot with Whitwell coming along to third. With Hughes keeping Whitwell as bay, Brown raced around the high side of the high-banked 3/8-mile oval of dirt, but at the finish line it was Hughes hanging on for the runner-up paycheck with Brown and Whitwell filling the next two places. The $5,000 triumph was Dillard’s 10th career USMTS win, tying him with Brown on the all-time list of winners, but his team’s celebration was somewhat tempered with the news that Hughes had bested him for the season-long title by a mere three points. Meanwhile, for perhaps the first time in his 16 years on tour Hughes and his crew were elated with their second-place finish—one that came with a $25,000 paycheck for becoming the 2016 USMTS national champion. “it feels good to get a win here in this event, and against this caliber of competition,” Dillard told USMTS announcer Bryce Hall in Widow Wax Victory Lane. “It’s tough though. After all the work and long hours to come this close… it’s tough. For Hughes, it marked his third USMTS national championship and third in the last seven seasons despite being absent the entire 2014 campaign to race with the Lucas Oil Late Model Dirt Series. “I was just paying attention a lap at a time trying to drive as hard as I could,” said Hughes. “It’s been a lot of fun racing with them guys all year long. They work their tails off too and we’ve been running up and down the road together and parking beside each other. It’s been fun. The battles for first place in the race and the Hunt for the USMTS Casey’s Cup powered by S&S Fishing & Rental weren’t the only ones taking place during the 42-lap nightcap. Jumping past three cars in the final six laps, Zack VanderBeek came home fifth in the main event and was able to nip Jesse Sobbing by a single point for fourth in the final points standings after Sobbing battled mechanical issues all night long. Angst held on for sixth, Rodney Sanders raced from 19th on the grid to finish seventh, Dereck Ramirez started and finished in the eighth spot, Austin Siebert nabbed ninth and Lucas Schott complete the top 10. The KSE Racing Products Hard Charger Award went to Canadian Masen Big Eagle who finished 15th after taking the green flag from the 28th starting spot. Dillard did, however, put two other titles in his pocket Thursday night. Hughes Racing Chassis and MB Customs Race Cars came into the event tied atop the Manufacturers Championship points with MB Customs getting the nod due to Dillard’s triumph. Dillard also secured the overall Sybesma Graphics Pole Award title while Sanders claimed the KSE Racing Products Hard Charger of the Year Award. Friday and Saturday’s shows will be co-sanctioned by the United States Racing Association with valuable USRA national points on the line. 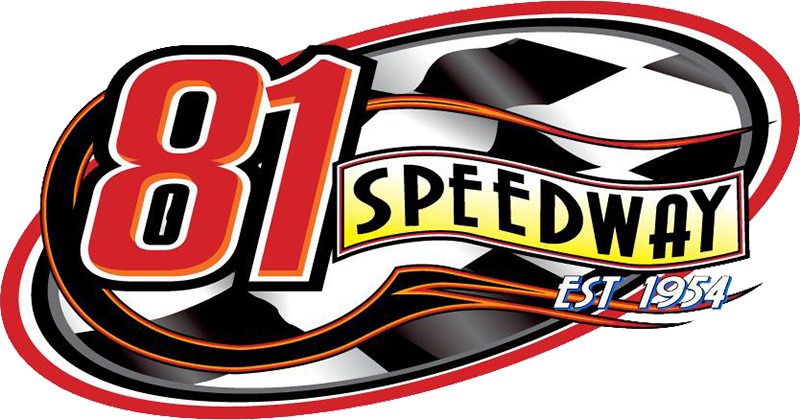 The Iron Man Series featuring Out-Pace USRA B-Mods will once again share the spotlight both nights. Saturday’s annual Modified Non-Qualifiers Race will dole out $2,000 to the winner prior to the $10,000-to-win championship race which will start a minimum of 30 cars three-wide. The Non-Qualifiers Race will also have 30 cars on the track. There will be a complete show each night. The top 15 in heat race passing points are locked into “A” Main each night with the top 8 redrawing for the first eight starting positions. An additional 15 drivers will advance from the “B” Mains. Back by popular demand for the sixth straight year, Red Tail Tackle presents The Dweebs live in concert Friday night as they will be rocking the Deer Creek Speedway under the big top immediately following the final race of the night. For early risers with a hankering for a delicious hot breakfast, the Bear Creek Lutheran Church is back again this year serving up breakfast in the beer garden every morning from 8-11 a.m.
1. (3) 77 R.C. Whitwell, Tucson, Ariz.
2. (5) 89c Steve Whiteaker Jr., Corpus Christi, Texas. 3. (2) 73b Shad Badder, Bates City, Mo. 4. (12) 52w Nate Wasmund, Rochester, Minn.
5. (7) 49 Bob Timm, Winona, Minn.
6. (1) 14w Clayton Wagamon, Blaine, Minn.
7. (10) 6T7 Brian Albrecht, Winona, Minn.
8. (9) 23k Darwin Karau, Kasson, Minn.
9. (4) 61t Tammy Soma-Clark, Rochester, Minn.
10. (11) 7s Todd Stinehart, Waseca, Minn.
11. (6) 2r Rickie Roche, International Falls, Minn.
12. (8) 38 Rick Cannata, Hibbing, Minn.
13. (13) 37 Mike Jergens (R), Plover, Iowa. 2. (4) 33z Zack VanderBeek, New Sharon, Iowa. 3. (1) 81 Mike Densberger (R), Lincoln, Neb. 4. (6) 99 Jett Big Eagle (R), Manor, Sask., Canada. 5. (3) 99 Jesse Sobbing, Malvern, Iowa. 6. (11) 91 Joe Duvall, Claremore, Okla.
7. (5) 49jr Jake Timm, Winona, Minn.
8. (9) 94jr John Doelle, Arcadia, Wis.
9. (8) 2x Brady Gerdes, Villard, Minn.
10. (7) 14 Amanda Stiffler, Farmdale, Ohio. 11. (10) 29 Ron Ver Beek, Oskaloosa, Iowa. 12. (12) 24 Brad Waits, Rochester, Minn.
13. (13) 20jr David Wytaske, Grand Meadow, Minn.
1. (1) 71 Jason Cummins, New Richland, Minn.
2. (3) 85 Thomas Tillison Jr., Wellston, Okla.
3. (7) V2 Joey Jensen, Harris, Minn.
4. (12) 97 Cade Dillard, Robeline, La. 5. (13) 110 Keith Tourville, Webster, Wis.
6. (6) 1sx Travis Saurer, Elizabeth, Minn.
7. (4) 51 Chris Oertel, Marshfield, Wis.
8. (9) 00 Mark Gartner, Mapleton, Minn.
9. (10) 9 John Carpenter, Hibbing, Minn.
10. (11) 50iii Brandon Davis, Medford, Minn.
11. (8) 0 Adam Hensel, Barron, Wis.
12. (5) 53 Ronnie Woods, Mexico, Mo. 13. (2) 48 Brent Dutenhoffer, Watertown, S.D. 1. (2) 12 Jason Hughes, Watts, Okla.
3. (9) 99 Josh Angst, Winona, Minn.
4. (5) 9 Ricky Thornton Jr. (R), Chandler, Ariz.
5. (8) 20 Rodney Sanders, Happy, Texas. 6. (10) 29h Joe Horgdal, Kasson, Minn.
7. (11) 30 Chase Allen, Midlothian, Texas. 8. (1) 97 Greg Chesley (R), Duluth, Minn.
9. (13) 30 Josh Ruby, Lakota, Iowa. 10. (12) 1st Johnny Scott, Las Cruces, N.M.
11. (7) 23b Brett Bumgardner (R), Hawkeye, Iowa. 12. (4) 26f Dan Fetters, Montour, Iowa. 13. (6) 1s Ryan Mikkelson (R), Jamestown, N.D.
1. (2) 16 Austin Siebert, Grandview, Mo. 2. (4) 75 Terry Phillips, Springfield, Mo. 3. (11) 91 Craig Thatcher, Knapp, Wis.
4. (3) 00 Masen Big Eagle, Manor, Sask., Canada. 5. (1) 21t Lance Town, Wellsville, Kan.
6. (12) 5x Scot Danzeisen, Herman, Minn.
7. (9) 55 Jeff Wood, Chisholm, Minn.
8. (8) 42 Paul Niznik (R), Medford, Wis.
9. (7) 45 Levi Nielsen, Evansdale, Iowa. 10. (6) 6 Brock Bauman (R), Eureka, Ill.
11. (5) 4 Cody Bauman (R), Eureka, Ill.
12. (10) 25 Mike Simons II, Genoa City, Wis.
13. (13) 1g Pat Graham, Ankeny, Iowa. 1. (3) 97 Chris Brown, Spring, Texas. 2. (2) 21 Jacob Bleess (R), Chatfield, Minn.
3. (6) 14 Scott Stiffler, Farmdale, Ohio. 4. (13) 4a Joel Alberts, Kasson, Minn.
5. (9) 40 David Schuster, Waterville, Minn.
6. (11) 22d Daniel Hilsabeck, Adel, Iowa. 7. (1) B29 Blonde Bomber Mitchell, Pea Ridge, Ark. 8. (12) 15 Larry Campbell, Van Buren, Ark. 9. (7) 4s Craig Shaw, Dexter, Minn.
10. (10) 00 Robby Bunkelman, Abbotsford, Wis.
11. (5) 1a Dwaine Hanson, Lakefield, Minn.
12. (4) 55w Jeffrey Wood, Chisholm, Minn.
13. (8) 77 Jacob Stark, Austin, Minn.
14. (14) 75 James Parker, Brownsdale, Minn.
1. (1) 85 Thomas Tillison Jr., Wellston, Okla.
2. (10) 2x Brady Gerdes, Villard, Minn.
3. (2) 21 Jacob Bleess (R), Chatfield, Minn.
4. (4) 00 Masen Big Eagle, Manor, Sask., Canada. 5. (16) 1s Ryan Mikkelson (R), Jamestown, N.D., GRT/Dakota, $50. 6. (5) 29h Joe Horgdal, Kasson, Minn., Killer/Baiers, $50. 7. (7) 15 Larry Campbell, Van Buren, Ark., Campbell/Campbell, $50. 8. (8) 30 Josh Ruby, Lakota, Iowa, Skyrocket/KSE, $50. 9. (12) 00 Robby Bunkelman, Abbotsford, Wis., GRT/Baxter, $50. 10. (9) 97 Greg Chesley (R), Duluth, Minn., Rocket/Breeschoten, $50. 11. (13) 23b Brett Bumgardner (R), Hawkeye, Iowa, SSR/Midnight, $50. 12. (15) 55w Jeffrey Wood, Chisholm, Minn., Shaw/Sput’s, $50. 13. (6) 6T7 Brian Albrecht, Winona, Minn., Skyrocket/Adams, $50. 14. (11) 7s Todd Stinehart, Waseca, Minn., Fegers/KSE, $50. 15. (3) 40 David Schuster, Waterville, Minn., GRT/Grawmondbeck’s, $50. 16. (14) 24 Brad Waits, Rochester, Minn., Hughes/Baiers, $50. 1. (1) 69 Lucas Schott, Chatfield, Minn.
3. (3) 9 Ricky Thornton Jr. (R), Chandler, Ariz.
4. (7) 49jr Jake Timm, Winona, Minn.
5. (2) 73b Shad Badder, Bates City, Mo., Rage/Kuntz, $50. 6. (11) 50iii Brandon Davis, Medford, Minn., Tri-Built/KSE, $50. 7. (8) 23k Darwin Karau, Kasson, Minn., Killer/Flyin’J, $50. 8. (6) 14w Clayton Wagamon, Blaine, Minn., Hughes/Wagamon, $50. 9. (10) 45 Levi Nielsen, Evansdale, Iowa, Harris/KSE, $50. 10. (12) 2r Rickie Roche, International Falls, Minn., Harris/Sput’s, $50. 11. (9) 42 Paul Niznik (R), Medford, Wis., Rocket/Niznik, $50. 12. (16) 1g Pat Graham, Ankeny, Iowa, Victory/Karl, $50. 13. (15) 37 Mike Jergens (R), Plover, Iowa. 14. (13) 4 Cody Bauman (R), Eureka, Ill., GRT/GMPP, $400. 15. (5) 99 Jesse Sobbing, Malvern, Iowa. 16. (14) 53 Ronnie Woods, Mexico, Mo., BMS/Creason, $50. 1. (3) 5x Scot Danzeisen, Herman, Minn.
2. (2) 81 Mike Densberger (R), Lincoln, Neb. 3. (1) 14 Scott Stiffler, Farmdale, Ohio. 4. (8) 94jr John Doelle, Arcadia, Wis.
5. (4) 22d Daniel Hilsabeck, Adel, Iowa, Hilsabeck/Mullins, $50. 6. (7) 51 Chris Oertel, Marshfield, Wis., GRT/Tomcat, $50. 7. (14) 26f Dan Fetters, Montour, Iowa, Sidebiter/KSE, $50. 8. (5) 21t Lance Town, Wellsville, Kan., Phoenix/Driskell, $50. 9. (10) 4s Craig Shaw, Dexter, Minn., Harris/KSE, $50. 10. (9) 9 John Carpenter, Hibbing, Minn., Rocket/Tesar, $50. 11. (13) 1a Dwaine Hanson, Lakefield, Minn., Skyrocket/KSE, $50. 12. (11) 14 Amanda Stiffler, Farmdale, Ohio, Taylor/HRE, $50. 14. (15) 20jr David Wytaske, Grand Meadow, Minn., GRT/Wytaske, $50. 15. (6) 1sx Travis Saurer, Elizabeth, Minn., GRT/Sput’s, $50. 16. (12) 29 Ron Ver Beek, Oskaloosa, Iowa, IROC/Midstate, $50. 1. (3) 20 Rodney Sanders, Happy, Texas. 2. (5) 30 Chase Allen, Midlothian, Texas. 3. (4) 49 Bob Timm, Winona, Minn.
4. (1) 110 Keith Tourville, Webster, Wis.
5. (6) 55 Jeff Wood, Chisholm, Minn., Shaw/Sput’s, $50. 6. (2) 99 Jett Big Eagle (R), Manor, Sask., Canada., MBCustom/Baxter, $50. 7. (7) B29 Blonde Bomber Mitchell, Pea Ridge, Ark., GRT/BMS, $50. 8. (15) 48 Brent Dutenhoffer, Watertown, S.D., Lethal/Sput’s, $50. 9. (8) 00 Mark Gartner, Mapleton, Minn., Sidebiter/Ripka, $50. 10. (13) 38 Rick Cannata, Hibbing, Minn., Shaw/Miller, $50. 11. (11) 6 Brock Bauman (R), Eureka, Ill., GRT/Mullins, $50. 12. (16) 75 James Parker, Brownsdale, Minn., Kraft/JPRE, $50. 13. (14) 25 Mike Simons II, Genoa City, Wis., MS/TNT, $50. 14. (10) 1st Johnny Scott, Las Cruces, N.M., Lethal/GMPP, $400. 15. (9) 61t Tammy Soma-Clark, Rochester, Minn., Skyrocket/, $50. 16. (12) 0 Adam Hensel, Barron, Wis., DirtDueler/Grove, $50. 1. (12) 97 Cade Dillard, Robeline, La., MBCustom/ASI, 42, $5000. 2. (2) 12 Jason Hughes, Watts, Okla., Hughes/Mullins, 42, $2500. 3. (7) 97 Chris Brown, Spring, Texas, MBCustom/ASI, 42, $1800. 4. (1) 77 R.C. Whitwell, Tucson, Ariz., MBCustom/GMPP, 42, $1300. 5. (13) 33z Zack VanderBeek, New Sharon, Iowa, LG2/Sput’s, 42, $1000. 6. (3) 99 Josh Angst, Winona, Minn., MBCustom/Sput’s, 42, $850. 7. (19) 20 Rodney Sanders, Happy, Texas, MBCustom/Hatfield, 42, $775. 8. (8) 4r Dereck Ramirez, Woodward, Okla., LG2/Cornett, 42, $700. 9. (5) 16 Austin Siebert, Grandview, Mo., MBCustom/Mullins, 42, $650. 10. (17) 69 Lucas Schott, Chatfield, Minn., MBCustom/Sput’s, 42, $600. 11. (16) 85 Thomas Tillison Jr., Wellston, Okla., Hughes/Geddes, 42, $575. 12. (24) 21 Jacob Bleess (R), Chatfield, Minn., MBCustom/BK, 42, $550. 13. (20) 2x Brady Gerdes, Villard, Minn., GRT/Sput’s, 42, $525. 14. (14) 75 Terry Phillips, Springfield, Mo., GRT/Durham, 42, $500. 15. (28) 00 Masen Big Eagle, Manor, Sask., Canada, GRT/Yeoman, 42, $450. 16. (6) 91 Craig Thatcher, Knapp, Wis., GRT/TriStar, 42, $425. 17. (25) 9 Ricky Thornton Jr. (R), Chandler, Ariz., Hughes/Mullins, 42, $400. 18. (15) V2 Joey Jensen, Harris, Minn., MBCustom/Tim’s, 42, $350. 19. (32) 99 Jesse Sobbing, Malvern, Iowa, Harris/GMPP, 42, $400. 20. (21) 91 Joe Duvall, Claremore, Okla., MBCustom/Hatfield, 42, $400. 21. (11) 71 Jason Cummins, New Richland, Minn., LG2/Sput’s, 42, $325. 22. (33) 37 Mike Jergens (R), Plover, Iowa, Sidebiter/KSE, 42, $400. 23. (31) 110 Keith Tourville, Webster, Wis., GRT/Anderson, 42, $315. 24. (30) 94jr John Doelle, Arcadia, Wis., Rocket/Sput’s, 42, $310. 25. (22) 81 Mike Densberger (R), Lincoln, Neb., Jet/Speedway, 42, $305. 26. (10) 52w Nate Wasmund, Rochester, Minn., LG2/Action, 36, $300. 27. (29) 49jr Jake Timm, Winona, Minn., LG2/BuckBuilt, 33, $300. 28. (18) 5x Scot Danzeisen, Herman, Minn., Danzeisen/Danzeisen, 23, $300. 29. (27) 49 Bob Timm, Winona, Minn., LG2/BuckBuilt, 15, $300. 30. (4) 4a Joel Alberts, Kasson, Minn., GRT/Action, 10, $300. 31. (9) 89c Steve Whiteaker Jr., Corpus Christi, Texas, GRT/Durham, 9, $300. 32. (23) 30 Chase Allen, Midlothian, Texas, CAM/Mullins, 3, $300. 33. (26) 14 Scott Stiffler, Farmdale, Ohio, Taylor/HRE, 0, $300. (R) = Rookie of the Year contender. Lap Leaders: Hughes 1-5, Whitwell 6, Hughes 7-8, Whitwell 9-21, Dillard 22-42. Total Laps Led: Dillard 21, Whitwell 14, Hughes 7. Margin of Victory: 1.087 seconds. Time of Race: 20 minutes, 10.921 seconds (2 cautions). KSE Racing Products Hard Charger: M. Big Eagle (started 28th, finished 15th). Next Race: Friday-Saturday, Sept. 23-24, Deer Creek Speedway, Spring Valley, Minn.
USMTS Casey’s Cup Points (final): Hughes 2103, Dillard 2100, Sanders 2036, VanderBeek 1974, Sobbing 1973, Scott 1788, Ramirez 1664, Duvall 1651, Jergens 1522, C. Bauman 1511. Grant Junghans Rookie of the Year Points (final): Thornton 1680, Bleess 1569, Jergens 1530, C. Bauman 1517, B. Bauman 1516. COMP Cams Engine Builder of the Year Points (final): Mullins 449, ASI 333, Sput’s 330, GMPP 312, Durham 309. Manufacturers Championship Points (final): MBCustoms 458, Hughes 457, LG2 371, Harris 335, GRT 305. American Racer – not awarded. Beyea Custom Headers – VanderBeek. Day Motor Sports – Tourville, Doelle. FK Rod Ends – M. Big Eagle. GRT Race Cars – Mitchell. Integra Shocks & Springs – Jensen. Jerovetz Motorsports Shock Service – Thatcher. Kevko Oil Pans & Components – Siebert. KSE Racing Products – M. Big Eagle. Midwest Sheet Metal – Badder. Out-Pace Racing Products – Thatcher. PBM Performance Products – Brown. VP Racing Fuels – Dillard. Wehrs Machine & Racing Products – Tillison.